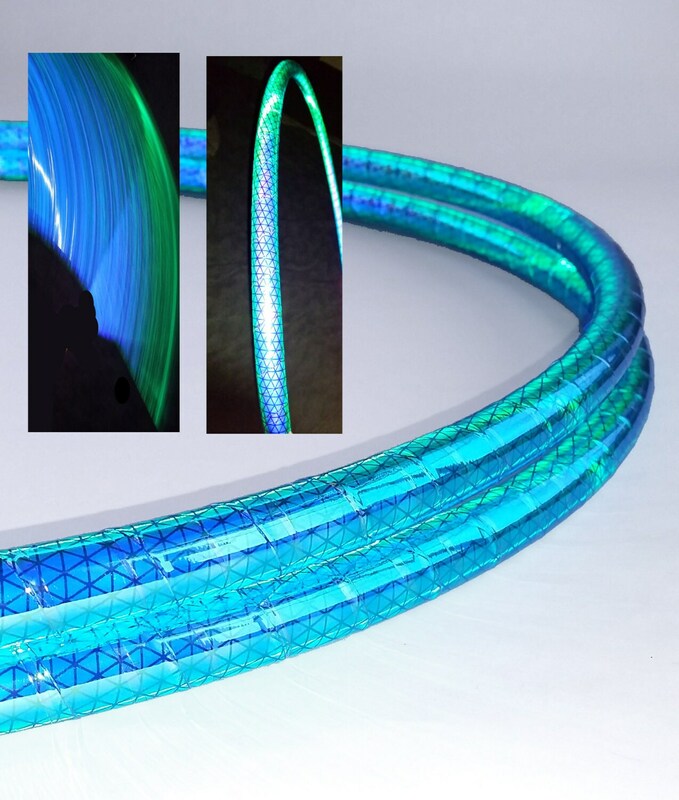 High Intensity Deep Space Reflective Hula Hoop or Minis. 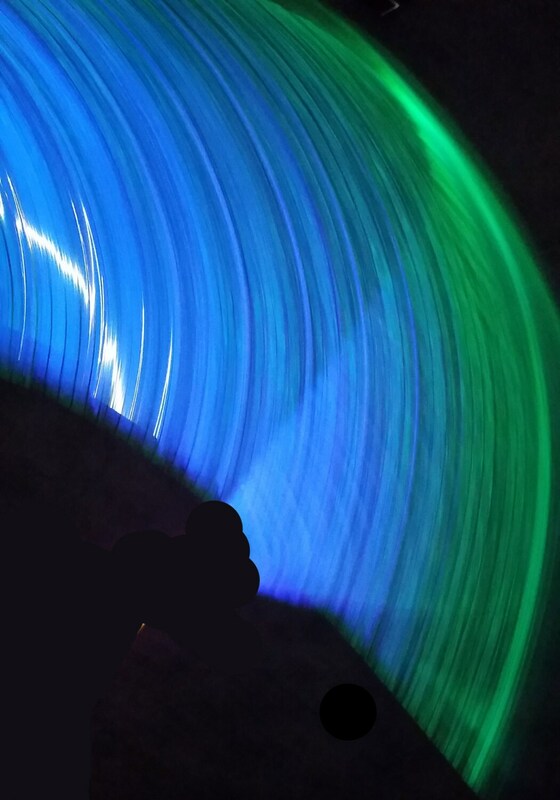 Reflective hoops allow the hooper to make their videos, photos and over all hoop dance glow. Using your cameras flash or downloading a flashlight app on your device while photographing or recording, the hoop will appear to be glowing. 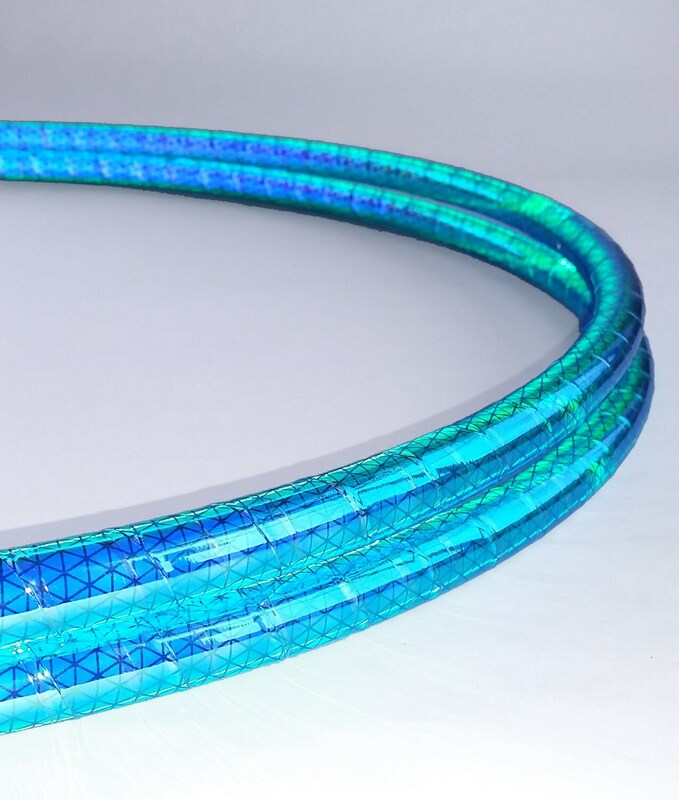 This hoop is also naturally reflective and tends to look like a deep glowing with sunlight. Gorgeous tape, solid connection. An awesome hoop!